Free Steam keys: Win one of 250 codes for sci-fi roguelike exploration game Galactic Crew! Solo developer Benjamin Rommel is very generous. Not only is he giving you a spaceship that you can customise as you wish, he’s giving you a crew, planets to take them to, in fact, he’s giving you a whole galaxy to explore. As of today, his game Galactic Crew is available on Steam Early Access. It’s a sci-fi roguelike exploration game. When you start a new game a whole galaxy is procedurally generated, filled with asteroid fileds to mine, space stations to trade with, and solar systems where space pirates hang out. The starting point for Galactic Crew was Rommel’s love for FTL: Faster Than Light. He wanted to make a game like that but was determined to expand its scope far beyond space combat in which you manage a crew and a spaceship’s interior sections. He wanted a proper 3D exploration game to wrap it in. As it is in Early Access, and it’s such a big project, the current version of Galactic Crew only offers four different planets to venture onto, but more will be steadily added. 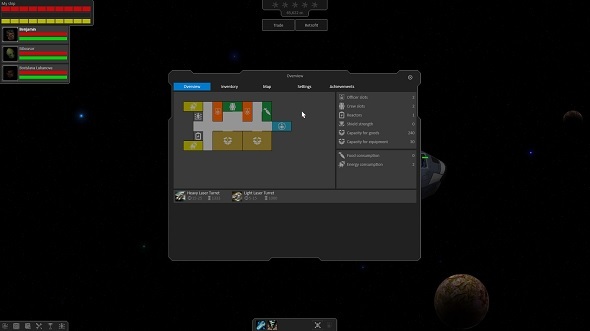 More mechanics outside of space combat, managing your crew, and gathering resources are also on the way. 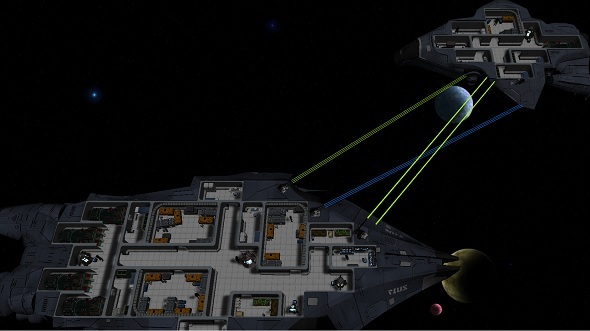 If you want to see how Galactic Crew evolves over time then you can grab it over on Steam. But we’re also giving you the chance to do that right here by giving away 250 Steam keys. If you want one then you’re going to have to enter the giveaway via the widget below. Every action you complete is worth one entry into the giveaway, and the more actions you complete the more chance you’ll have of winning.We’ll also need your email address so we can send you a code upon winning – we won’t send you spam, we promise.